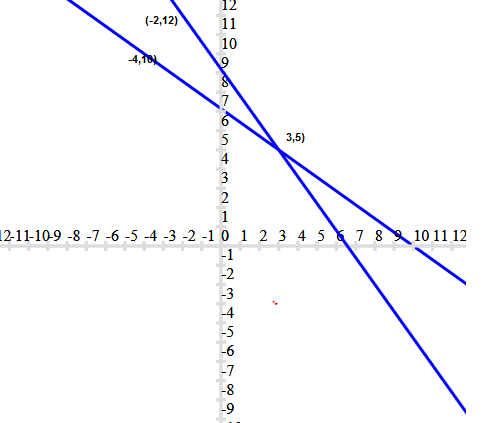 In this page we have NCERT Solutions for Class 10th Maths:Linear Equations for Exercise 3.2. Hope you like them and do not forget to like , social_share and comment at the end of the page. Form the pair of linear equations in the following problems, and find their solutions graphically. (i) 10 students of Class X took part in a Mathematics quiz. If the number of girls is 4 more than the number of boys, find the number of boys and girls who took part in the quiz. (ii) 5 pencils and 7 pens together cost Rs 50, whereas 7 pencils and 5 pens together cost Rs 46. Find the cost of one pencil and that of one pen. Therefore, number of boys = 3 and number of girls = 7. Therefore, cost of one pencil = Rs 3 and cost of one pen = Rs 5. On comparing the ratios a1/a2, b1/b2 and c1/c2, find out whether the lines representing the following pairs of linear equations intersect at a point, are parallel or coincident. 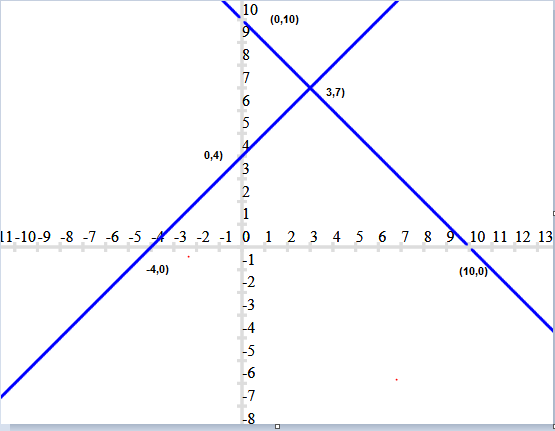 Therefore, both are intersecting lines at one point. On comparing the ratios a1/a2, b1/b2 and c1/c2 find out whether the following pair of linear equations are consistent, or inconsistent. These linear equations are intersecting each other at one point and thus have only one possible solution. Hence, the pair of linear equations is consistent. Therefore, these linear equations are parallel to each other and thus have no possible solution. Hence, the pair of linear equations is inconsistent. Therefore, these linear equations are intersecting each other at one point and thus have only one possible solution. Hence, the pair of linear equations is consistent. Therefore, these linear equations are coincident pair of lines and thus have infinite number of possible solutions. Hence, the pair of linear equations is consistent. 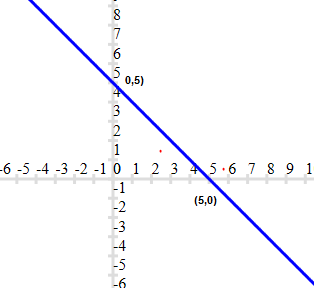 From the figure, it can be observed that these lines are intersecting each other at the only one point i.e., (2,2) which is the solution for the given pair of equations. Therefore, these linear equations are parallel to each other and thus, have no possible solution. Hence, the pair of linear equations is inconsistent. Half the perimeter of a rectangular garden, whose length is 4 m more than its width, is 36 m. Find the dimensions of the garden. 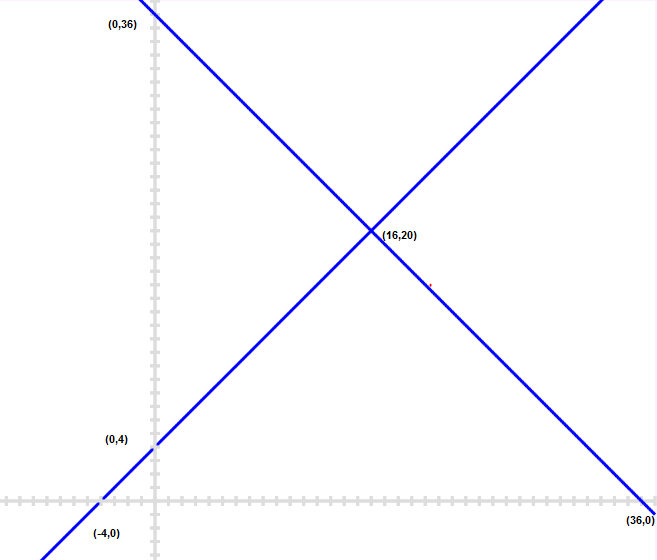 From the figure, it can be observed that these lines are intersecting each other at only point i.e., (16, 20). Therefore, the length and width of the given garden is 20 m and 16 m respectively. Draw the graphs of the equations x - y + 1 = 0 and 3x + 2y - 12 = 0. Determine the coordinates of the vertices of the triangle formed by these lines and the x-axis, and shade the triangular region. 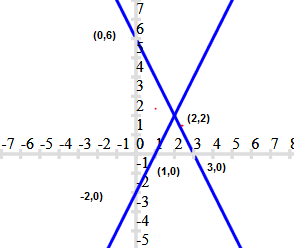 From the figure, it can be observed that these lines are intersecting each other at point (2, 3) and x-axis at (- 1, 0) and (4, 0). 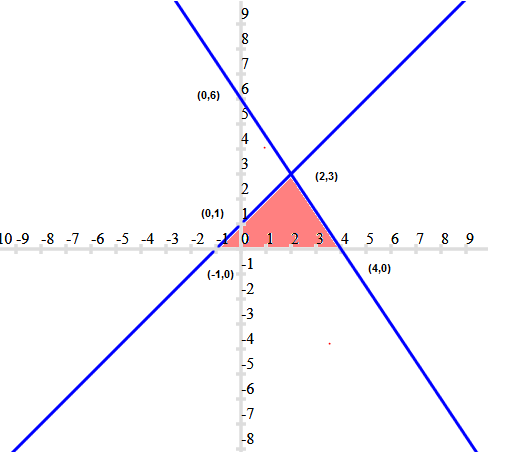 Therefore, the vertices of the triangle are (2, 3), (- 1, 0), and (4, 0). Given below are the links of some of the reference books for class 10 math. You can use above books for extra knowledge and practicing different questions. Our aim is to help students learn subjects like physics, maths and science for students in school , college and those preparing for competitive exams.